Workers at the state owned Fijian Sugar Corporation (FSC) have voted to take strike action after they were offered a 5.3% pay rise. This equates to just $7.10 a week after tax, or in terms of purchasing power, enough to buy half a chicken. The bigger issue though is that wages for sugar workers in Fiji have declined 40% since 2006 when the government was deposed by a military coup. The Lautoka sugar mill workers, who crush sugarcane to extract sugar, have also been impacted by a decline in the country’s sugar crop over this time, from 3.8 million tons to 1.6million tons annually, resulting in less weeks of work each year, in some cases people were without work for eight months of the year. 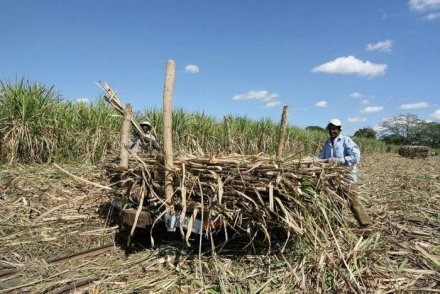 The Fiji Sugar and General Workers Union (FS&GWU) had been demanding a wage review for two years. Just days before the vote to take strike action, a worker was fatally injured on the job. Samuel Sigatokacake was admitted to Lautoka Hospital ICU Unit with burns covering over 50% of his body. The accident occurred when the support structure of an evaporator gave way, pouring extremely hot water onto the factory floor. Further investigation found the release valve on the vessel, which stored water at high pressure, had not functioned since 2010. The vessel itself was in very poor condition with corrosions found on the inside. Earlier that same week it had l burst through the cracks in the welding, but cracks were re-welded and operations continued as normal. The union has since made a Criminal Negligence complaint. The management of the mill have intimidated workers, some requiring them to fill in a form indicating if they were going on strike. Others were threatened with termination if they took industrial action. Almost a third of the 770 workers did not vote in the secret ballot, likely a result of this intimidation, but of those who voted 90% were in favour of strike action. Management has also offered five year contracts to retired workers to take on the work of the strikers, and threatened to bring in workers from overseas to replace them. Fiji’s Attorney General and Minister for Industry and Trade Aiyaz Sayed-Khaiyum urged workers not to go on strike “We [the government] have made a substantial investment to rescue the industry from collapse. This investment has begun to turn around the Fiji Sugar Corporation, without a single job being lost, and it is in the national interest for this to continue.” Of course, workers have seen little benefit from this investment, instead they have seen seven years of declining wages. On August 21st two truckloads of military officers today drove into Lautoka. Workers were warned that should they go on strike they would not be allowed to return to work and would be dealt with by the military. As we go to press no industrial action has yet occurred and the company continues to refuse to negotiate with the union. Unions in New Zealand, Australia and elsewhere have expressed solidarity with the sugar workers and condemned the actions of the regime. Sugar is Fiji’s largest industry, with sugar processing making up a third of industrial production in the country.